If, like us, the gift of a great book just about tops your wishlist, we've got eight pieces of joy-giving news for you. A week ago today, Foyles opened its literature-ladened shelves in Grand Central and we've been working with their team ever since to hook you up with the top titles carried by the store. Let the sleep deprivation commence. "A Little Life may be the favourite for this year's Booker prize but everyone should read The Fishermen - easily the best fiction of the year" say Foyles. The stark parable charts the decline of four Nigerian brothers who must live with the prophecy that one of their number will kill another. 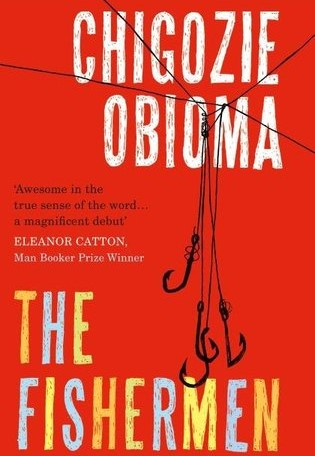 The first novel of Obioma, the author is, at 28, the youngest ever Booker nominee - but don't feel badly about your legacy to date. And probably try to read A Little Life too - we've been entranced and devastated for the last week. 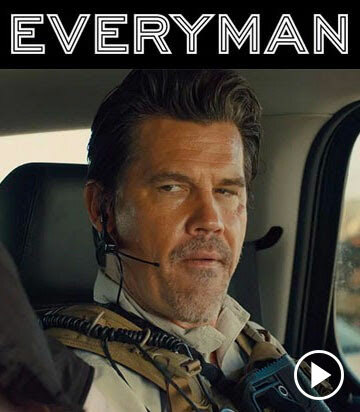 Film critic, Mark Kermode, looks into (rants articulately about) the way we watch movies and how our consumption has evolved through the years of cinema. Producing polemics on everything from the depressing rise of the multiplex, to the relentless future of 3D, Foyles describes the book as "a very informative yet funny read". 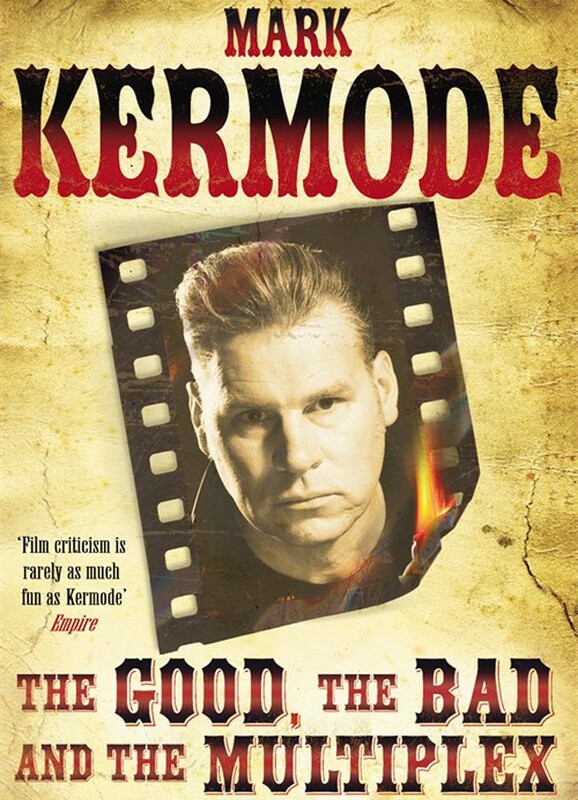 There are some pretty serious reveals on Kermode's view of Zac Effron, Titanic and the Twilight Saga too. And not all of them are negative. An Edenic wilderness, an environmental disaster zone and a mystery for thirty years, eleven expeditions have attempted to access Area X. And even for those who have made it out alive, there have been horrific consequences. 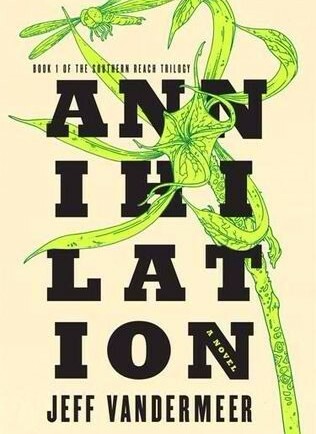 The first volume in a sci-fi trilogy, Annihilation tracks the twelfth expedition and is told by a nameless biologist. Foyles calls it "gripping from open to close", while Stephen King found it "creepy and fascinating". Good luck with that. Witty and wise, Dataclysm is a provocative, and visually captivating look at what our online lives reveal about who we really are. 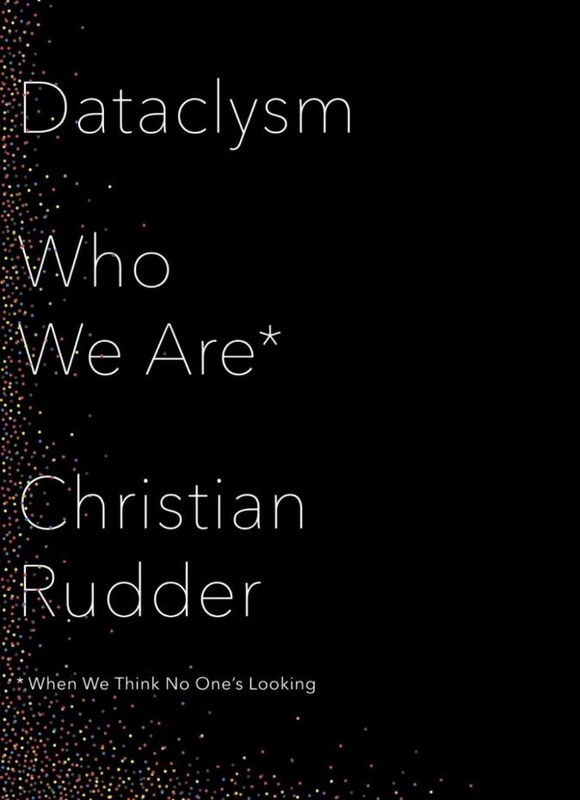 Penned by the founder of OKCupid, Rudder considers how the deluge of data now available care of the Twitters and Facebooks of the online world will transform the science of human behaviour. Exceedingly popular in the US, Foyles says: "The book is written in a humorous and accessible way - but with plenty of data to back it up". 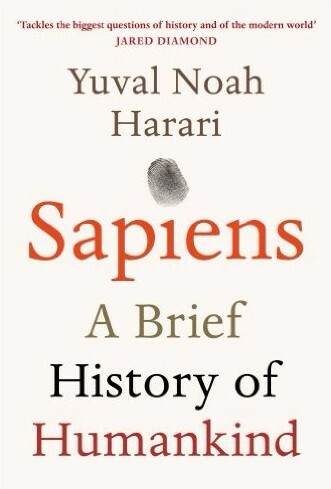 Foyles says: "A book of stunning depth yet admirable brevity, Harari takes us through the story of our species and on the way he manages to turn one's view of both humans and history on their heads." Drawing on insights from biology, anthropology and economics, Harari explores how the currents of history have shaped human societies, the animals and plants around us, and even our personalities. And from what we hear, his interpretation of the domestication of wheat is worth the cover price alone. So there's that. Full of sketches, photographs and Khoo's musings, this 'personal cookbook' has been lauded particularly for its accessibility. 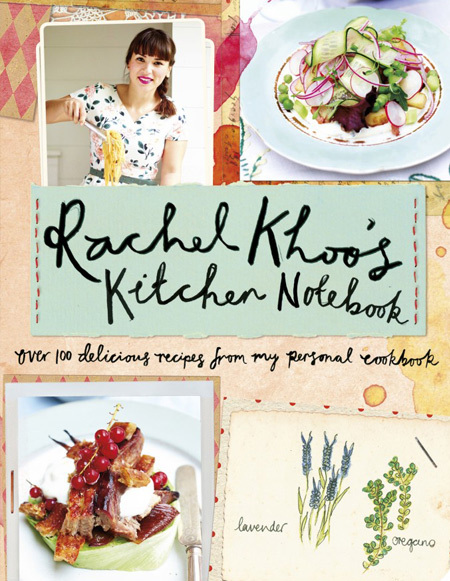 Foyles praises the text for "its down to earth recipes, where Khoo puts a modern twist on traditional favourites, bringing all the best foodie tips from her travels". The book contains over a hundred recipes and the roasted pork belly with sloe gin, and rhubarb and custard millefeuille is where we'll be starting. 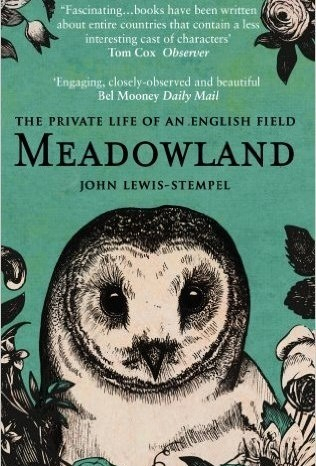 "One man's paean to his land, its flora and fauna and by extension the hold it has over us as a nation, Meadowland is a graceful introduction to all that is wonderful in modern nature writing." A twelve month diary of a 40-acre meadow, Lewis-Stempel gently and exquisitely moves readers to question how far they have become removed from the vital world around them. Foyles says: "If this book doesn't make you want to tear sticks and head out of the city then you really are a died in the wool townie". Splitting opinion almost as much as Brum's Frankfurt Market (yep, we went there), Satin Island is an intangible, vague and - many would say - brilliantly told tale of U, who works for a contemporary consultancy in London, on a project that will change our lives. But we will never notice it. 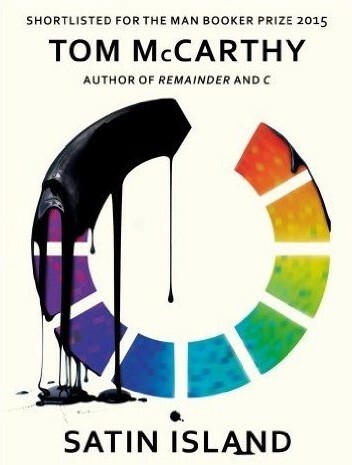 Foyles says: "Mixing oil spills, dead parachutists and everything in between, this novel adeptly walks the line between boredom, genius and loss." Game season is upon us and in a celestial home run of a happening, I Choose Live (so, us) have teamed up with Opus and Glenfiddich for one of those nights that will make you feel a lot like the lord of your very own highland estate, minus the property deeds. Linger over canapes and five-courses of the most luxuriant seasonal game. There'll also be Glenfiddich - a dram for each course - starting with the Straight Malt, which was revealed last month as part of an extremely limited run. The Glenfiddich 26 year old is a further highlight, as is the presence of Mark Thomson, a wildly knowledgeable Glenfiddich ambassador. 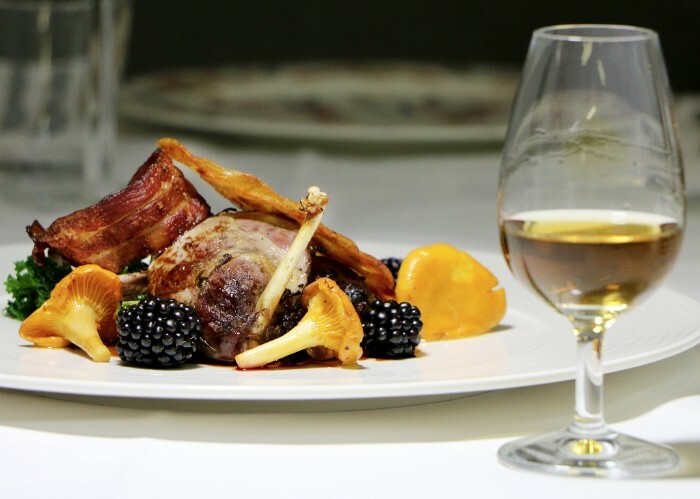 The menu, which has been crafted specially for the event by Opus' head chef, boasts everything from partridge to pigeon, as well as our pick, the roasted loin of highland estate venison. 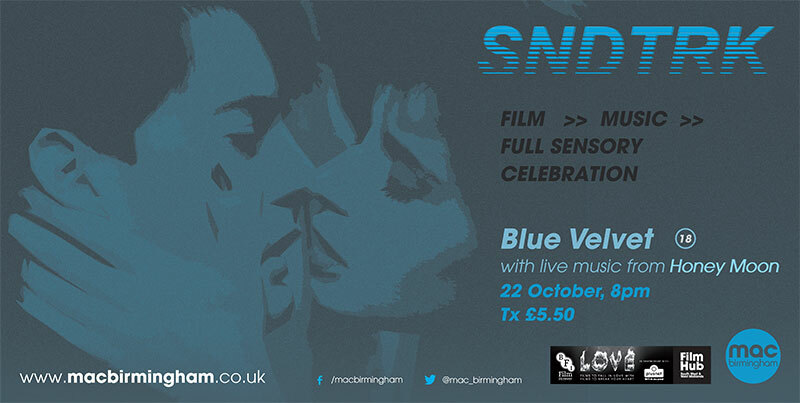 Tickets, at £125, are extremely limited. The event takes place on Thursday, 29 October and you can whip yourself into a game-filled frenzy over the full menu right here. Vietnam is our perennial 'almost' when it comes to booking trips. And while we absolutely will get there, we're pink cheeked and excitable to report that new Vietnamese opening, Pho, is the antithesis of an 'almost' - its dishes boast the kind of sensory panacea you crave so absolutely, mid-morning, that a Michelin plate couldn't dissuade you from paying a visit. 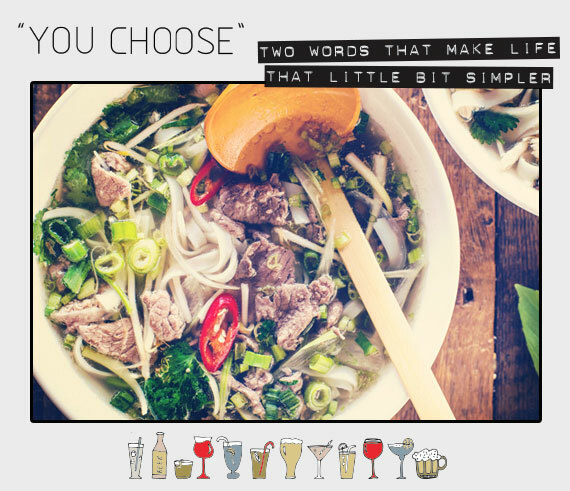 A steaming rice noodle soup with spicy brisket beef, the Bún bò Hue is deliciously salty and really rather generous. Lashings of coriander, Thai basil, lime and bean sprouts add the fragrant crunch which cuts through the heat of the dish and moves it into slurp now, speak later territory. Improved only by the addition of mushrooms (enoki, shitake and button) and a Saigon beer (£3.95). Try all the condiments and accept the extra napkins. Menu. We're not one for favourites, but if you're adroit enough to not only create but send us something as happy and droll as this, expect column inches. Plenty of them. And if you're as impressed as we seem to be, you can take a lesson with the first lady of laser cutting at Working Clasp, 6.30pm on Wednesdays. 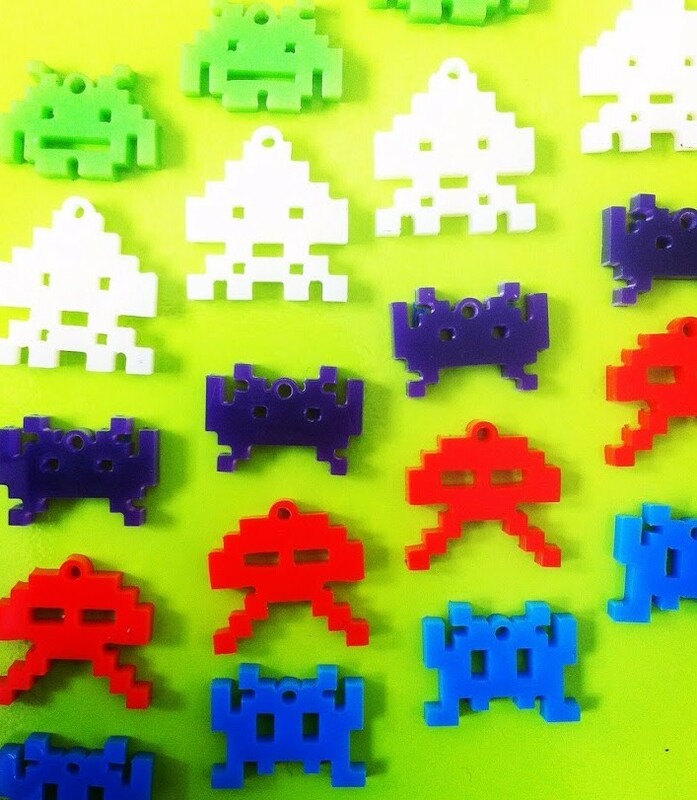 Choose from a rotating range of workshops including retro gaming, a Saved By The Bell inspired 80s evening with all things patterned, geometric and bold (October 14) or go gothic with a Halloween themed class (October 28). Keep what you make and expect themed refreshments included in each 90 minute session. And if you can fathom what those might be for the Saved By The Bell session, you're pop culture is better than ours. 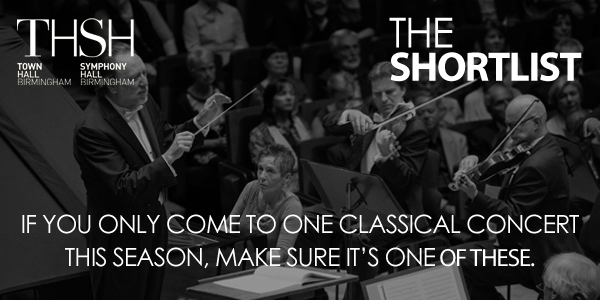 Book (£25) here or contact Working Clasp for bespoke events. 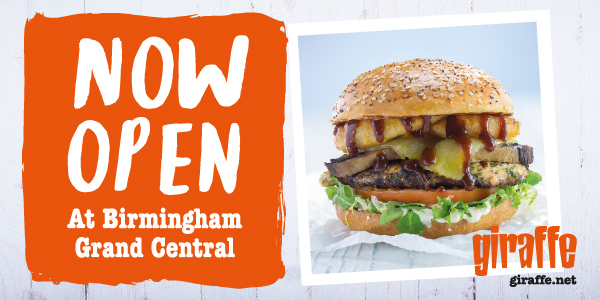 Copyright © 2015 Birmingham Publishing Group Ltd, All rights reserved.